Photos & Report: Sorge Soars to Victory with Big Tricks at Red Bull Rampage - SoCalCycling.com - Southern California, Cycling, Amgen Tour of California, News, Bicycle Racing, Fun Rides, Event Calendars. Dropping from the highest start gate in the 10 year history of Red Bull Rampage, the world’s best mountain bikers put it on the line in front of over 2,000 fans who trekked miles into the desert to witness the most challenging event in freestyle mountain biking. 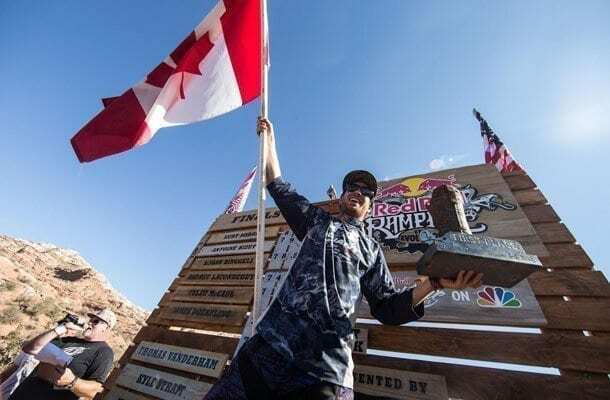 Canadian Kurt Sorge rode away with his first Red Bull Rampage victory, with a gutsy second run that proved he deserved to be at the top of the podium after beating out a barrage of back-flipping, high flying competitors. 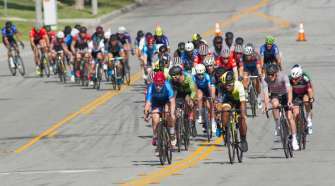 The results were anything but predictable, as some of the expected front runners had trouble finishing their lines cleanly. Brandon Semenuk, Darren Berrecloth and James Doerfling all went down attempting big tricks, knowing that victory would not be handed over easily. This left the door open for some unexpected finishes, including event rookie Antoine Bizet of France taking second along with local hero Logan Binggeli rounding out the podium in third. High drops and high drama were the story of the day at the seventh installment of Red Bull Rampage, which began in 2001. The big scores went to the riders who attempted risky tricks, like Sorge’s huge superman over a jump and a big backflip drop. Second place finisher Bizet peppered his run with thrilling tricks including a backflip near the top of his run, an incredibly risky move that paid off with the judges. 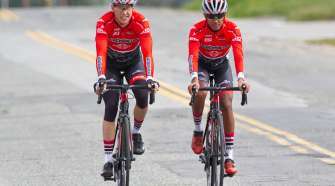 One of the biggest nail biters came not from the podium, but when overall Freeride Mountain Bike points leader Brandon Semenuk crashed on his run, leaving the door open for Martin Soderstrom to take over the season’s points title. However, he too could not ride out cleanly and left a nervously watching Semenuk to walk away with the title. To participate in Red Bull Rampage takes skill, bravery and some may argue a little bit of lunacy to descend down 1,500 feet of vertical while hitting obstacles and attempting tricks. 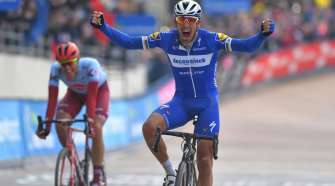 Winner Sorge summarized his feelings before dropping in with one word, “terrified.” Luckily for fans, he was able to hold together his line and put on a show that none in attendance will soon forget. For those not able to witness the event in person, the event highlights will be broadcast as part of the Red Bull Signature Series on NBC on December 8th at 2pm ET.